« Winner for the Holiday Photo Contest! Join us for our 2nd year Anniversary celebration! The Parrot Society of NW Ohio is dedicated to providing a resource for the most recent information and education in parrot behavior and welfare. We strive to create and maintain a happy and healthy environment for the parrot, and all of those involved with its care and livelihood, through positive reinforcement interactions. We support the advancement of aviculture through educational outreach in companion parrot welfare, avian research, and conservation. We have another year full of speakers, field excursions, and topics of interest and importance. Join us for our next meeting. Our meetings begin at 6:15 and last until 8:15 pm the second Monday of every month. Our monthly meeting locations change based on the topic of the meeting. Our next meeting we will be joined by Dr. Susan Orosz DVM, Dipl ABVP (Avian), Dipl ECZM (Avain). 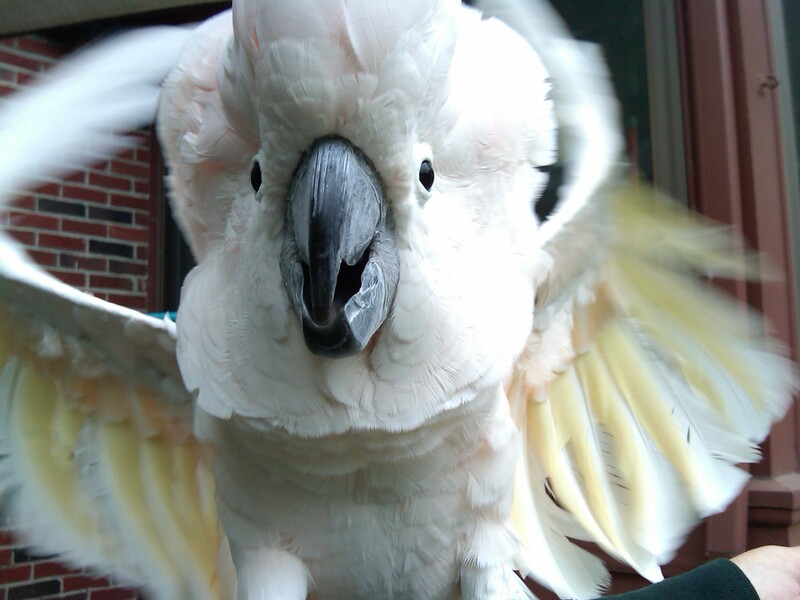 Dr. Orosz is the owner of The Bird & Exotic Pet Wellness Center in Toledo, Ohio. Dr. Orosz will be giving a talk starting at 6:30pm on Avian Diseases. Please feel free to join us. Our meetings are free and open to the public. If you have any questions, please feel free to leave a response. Im new and have never been to a meeting yet any information would be great, Thank You! Hi Charlene and Austin. Anyone is welcome to our meetings and our meetings are held the second Monday of every month. Our meeting locations change from month to month to better provide areas of opportunity for education. Our next meeting is tomorrow night Monday, February 13th at the Sanger Branch Library on Central Avenue. The meeting begins at 6:15 and will end at 8:15. I highly suggest you join our FaceBook page and be added to our e-mail list. I send out reminder e-mails every month about our next meeting location. If you would like me to add you to our e-mail list, please e-mail me at aviansanta@gmail.com. I hope to see you tomorrow night.